Traditional weight training will have you lifting weights in the gym for a certain number of reps, resting for a specific time interval, then repeating. However, there is another technique that you can employ in order to help you sculpt lean muscle in a shorter period of time. 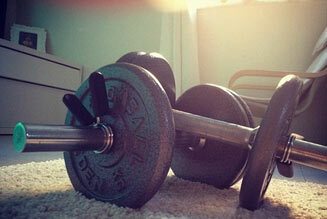 A superset is when you repeat two similar or different exercises in a row, consistently, without any rest in-between. An example would be doing bench presses followed back-to-back by biceps curls. Exercising in this manner allows anyone with limited time to get more done in fewer minutes. It also encourages muscle growth. Some of the best bodybuilders in the fitness industry perform supersets to encourage hypertrophy (muscle growth). Performing exercises consecutively will increase the workout intensity, which will result in more damage to the muscles, causing them to grow faster. One way of incorporating supersets into your workout is to perform two different exercises for the same muscle group consecutively, for example doing deadlifts and then squatting immediately afterwards. One way to ensure diversity is to alternate between using heavy weights and light weights. A disadvantage to performing supersets for the same muscle group is that this particular muscle group will become fatigued and restrict the amount of weight you can lift. Doing two exercises for your biceps back-to-back, for example, will exhaust them and limit your ability to lift heavier weights. An alternative technique is to perform supersets for different muscle groups, biceps and triceps, for example, or chest and back. This offers the same advantages, while allowing you to increase the weight you can lift. A final technique is to perform supersets for larger and smaller muscle groups together. Instead of doing consecutive exercises for your biceps and triceps, for example, you perform exercises for your hamstrings and abs. This method allows each trained muscle group to recuperate, ensuring you can utilize maximal strength for each set. If your workout routine has become monotonous, there are many benefits to incorporating supersets into your program. Along with boosting muscle growth, it allows you to complete more exercises in a shorter amount of time and still achieve results.